Beautiful colors!! Love the pp on the birthday one! These cards are wonderful. 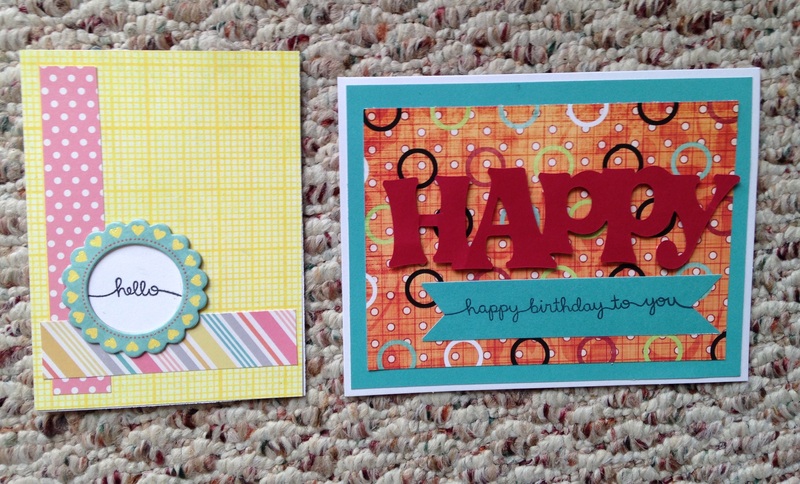 I love the use of bits and pieces when making cards. I love the layering on each of these. Love the bold color on the happy card! I really like the happy one, such a great color combo! Both cute cards! You are rocking out the cards! Love the colors on both!